Learn how to buy the right rain jacket to protect yourself from harsh conditions and storms this season. Remember when Mom used to tell you to “always wear a coat” before you’d go running off into the elements? Well, that advice is still pretty valid today! The best way to protect yourself from pouring rain, cold, and wet conditions this fall is with a great rain jacket. The problem is, these days, rain wear can drastically range in price from an affordable $12 poncho you’d wear to a ball game, to a serious $200 packable rain jackets so advanced they’d keep Bear Grylls comfortable in the middle of a rain forest. So where do you start, and how do you find the perfect rain jacket for you? 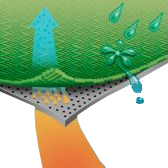 Jackets with seam-taped or seam-sealed outer shells provide complete and total waterproofing, without leakage. The shell fabric repels water, and is sealed around each seam on the inside, preventing water from entering the jacket. 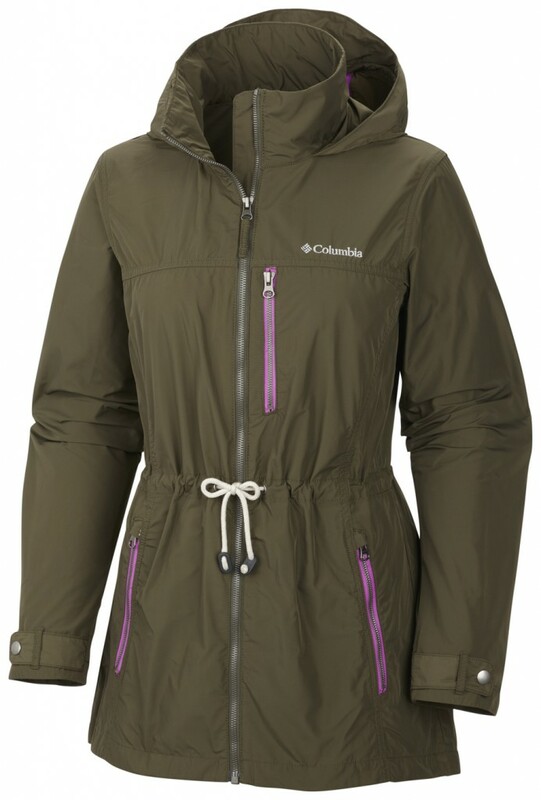 People who live in rainy climates, like those in the northwest coast of the U.S., frequently venture out into heavy rain, work outside, or spend a lot of time in the outdoors, should look to completely waterproof, seam-sealed womens and mens rain jackets and shells, like the Patagonia Torrentshell Jacket and The North Face Venture Jacket. 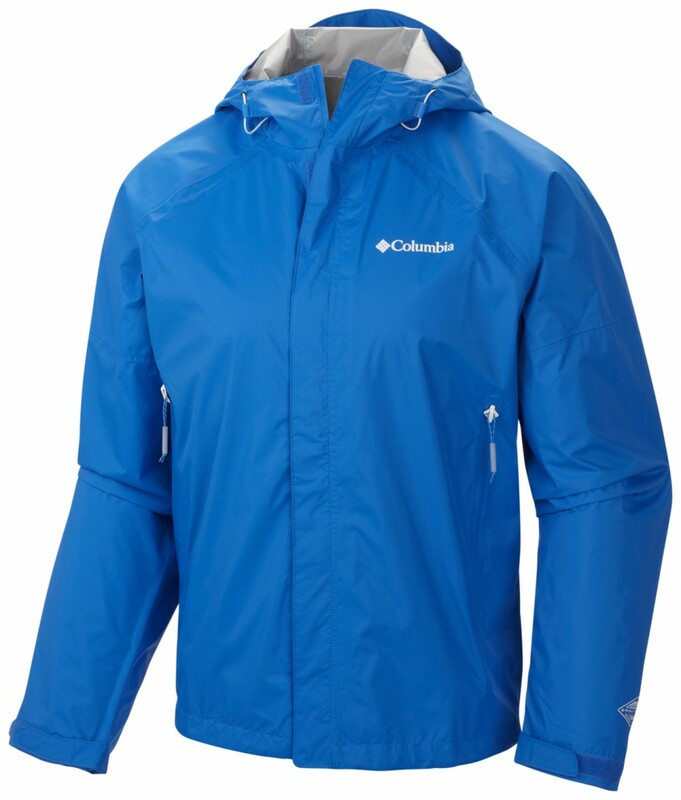 These lightweight rain jackets are a great value, and perform well under most conditions! As their name would imply, they have a shell which seals out water on the outside, but allows moisture and water vapor to escape from the inside, keeping you comfortable and cool. They are designed with at least two layers of fabric sandwiched together; a waterproof outer shell, and a moisture wicking membrane (sometimes they’ll also feature a smooth lining). The most popular and well known of these fabrics is GORE-TEX, although fabrics from The North Face, Marmot, Patagonia, and Frogg Toggs now offer similar performance. Waterproof/breathable jackets are perfect for frequent light to medium showers like those typically found in the northeastern U.S., and are great for people getting active in rainy conditions, such as hikers, climbers, and commuters. Check out men’s and women’s GORE-TEX rain jackets, the Columbia Watertight Rain Jacket, The North Face Resolve Jacket, and Frogg Toggs DriDucks Ultra Lite Rain Suit for serious protection. Water resistant fabrics are not completely waterproof, but still provide adequate protection from rain, especially in infrequent, light showers. The outer shell of these jackets is designed to bead up moisture and rain, so it easily falls off the fabric, instead of making its way into the jacket. Perfect for drier climates, like the southeastern U.S. or Gulf Coast, water-resistant jackets like the Columbia Glennaker Lake Rain Jacket, Columbia Switchback, or Nike Vapor Wind and Rain Jacket can double as your lightweight fall, winter, and even spring jacket, providing all-around comfort, insulation, style, and rain resistance. Rain jackets for women and men come in all shapes and sizes, with a full range of features, all designed to perform in different environments. Now that you have a better idea of which rain jacket fits your climate, the next step is to identify how you plan on using your new rain jacket. Then, it’s simply a matter of figuring out which waterproof, water-resistant, or waterproof/breathable jacket fits those needs. Zip-in compatibility (perfect for layering, this feature lets you easily connect an insulating layer under your rain jacket to keep you warm). For your needs, the Columbia Watertight Rain Jacket, The North Face Resolve, and Frogg Toggs Toadz Kikker Rain Jacket are affordable and comfortable options. For your more active needs, the Frogg Toggs Toadz Firebelly Rain Jacket, The North Face Various Guide Jacket, and North Face Venture Jacket are great and high-performance rain jackets, as are any GORE-TEX rain jackets. Also keep in mind that all Frogg Toggs products are designed for ultimate waterproof protection and breathability. With this information, you should be better equipped to find the right rain jacket for you, and hopefully, this rainy season shouldn’t keep you stuck in doors. Check out Sports Unlimited for a full list of our rain gear stock, and make sure to read our rain jacket buyer’s guide for even more information! And hey, don’t forget about your feet! We carry a full selection of mens waterproof boots and womens rain boots! There’s nothing worse than getting stuck in a cold fall or winter rain storm. Sports Unlimited wants to get everyone prepared so we are giving you 10% Off All Rain Gear for a limited time. New styles and brands are just in, including Rivers West waterproof fleece jackets and the fun themed kids rain gear by Western Chief Kids. We’re not forgetting about Fido either, because no dog wants to take a walk in the pouring rain. If you happen to be looking for early holiday gifts, a new rain jacket is a gift that everyone will love and appreciate. Since we’ve come to terms that summer is but a distant memory, there is no reason not to prepare yourself for the inevitable rainstorms that are sure to come. That’s why, for a limited time only, we’re giving a 10% discount for all rain gear – that includes rain jackets, rain pants, rain suits, and even toddler rain umbrellas! Just type in the coupon code “RAINTEN” to receive the discount.